Throughout a child’s life, they will experience teething, a few years of missing teeth, and, finally, the eruption of their wisdom teeth. A child’s dental journey can be uncomfortable at times, but it is an unavoidable part of growing up. As long as their teeth are being cared for, the process will go much more smoothly. Consuming excess amounts of soda and candy, as well as chewing on ice, can cause premature tooth loss and damage. However, the general timeline for when children develop and lose teeth naturally is as follows. The center pairs of teeth, or central incisors, are usually first to come in when children are around age six to 12 months. The next teeth to erupt are typically the lateral incisors on either side of the central teeth. For most children, the first 20 teeth erupt by age three. At about age six or 7, the first permanent molars come in. These do not replace baby teeth, so their eruption can be mildly painful. The discomfort, however, is only temporary. This is also the time when most children lose their first teeth, usually, in the same order, they came in. 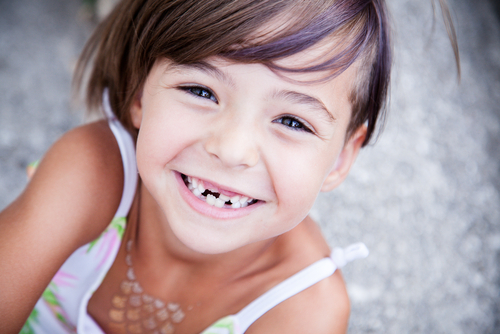 By age 11 to 13, most children have a mix of primary and permanent teeth. After all of the primary teeth are replaced, and the first molars erupt, children should have four central incisors, four lateral incisors, eight premolars, four canines, eight molars. Around this age, children lose the last of their baby teeth, which are usually the molars. The final set of teeth come in much later, between age 17 and 21. Third molars aka wisdom teeth come in around this time and can be painful. Wisdom teeth are notorious for causing complications, such as impaction, infection, and partial eruption. They are commonly removed unless they are posing no severe problems. The best way to care for permanent teeth is by adopting healthy dental hygiene habits. Flossing daily, brushing twice a day with children’s toothpaste, and avoiding foods that are corrosive to teeth will ensure that your child has optimal dental health between dental appointments. Keeping up with your child’s dental exams and cleanings twice a year helps with preventive care and routine maintenance. For more information about children’s dental services, please call 610.746.0488 and schedule your consultation at Green Street Dental.